Welcome to start of the improv series on the 12 Bar Blues. We are going to start this study of improvisation with the topic of chord tone soloing. Chord tone soloing is the process of creating improvised lines exclusively with the primary tones of the chord which are 1, 3, 5 & 7. 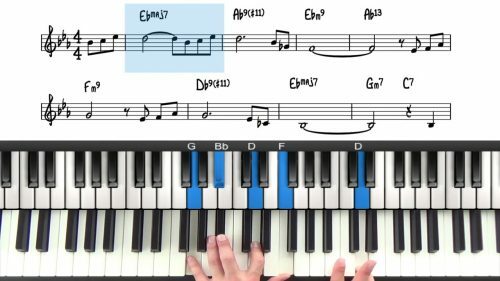 Chord tone soloing is the first step towards learning to improvise freely on the piano. 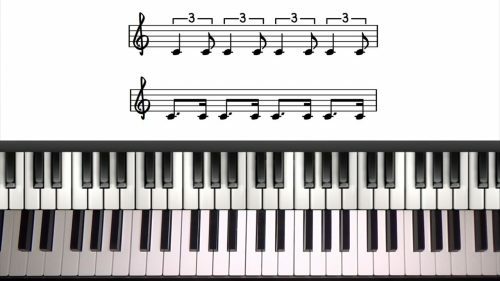 You might be thinking, "well wait a minute, 1, 3, 5 & 7 is just an arpeggio of the chord" and you are correct, it is, however, these tones play a very important part in building improvised lines and understanding the importance of them is essential in developing your ability to improvise. Why is chord tone soloing such an important step in learning to improvise? Well, all chord tones have a very stable sound. This is because you are playing directly within the harmony. The notes you are improvising with are the primary chord tones from the underlying harmony. In contrast, the extensions 9, 11 & 13 are very colourful tones and the alterations such as b9, #9s, #11s and #5s can be used to add dissonance and tension to your lines. If you have tried to improvise in the past, and you have found that your improvised lines begin to sound a bit lost and disjointed from the chords, then it’s very likely that you are not paying enough attention to chord tones. Being able to visualize and identify these tones is incredibly important and if you analyse the solos of professional jazz musicians, you will see that chord tones play a very important role in their improvised lines. 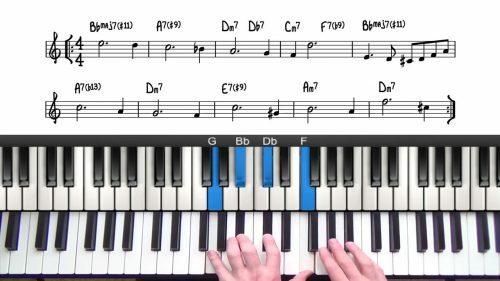 The exercises in this lesson are not meant to sound like a true improvisation. The exercises are designed to get your familiar and accustomed to outlining the chord tones in your improvised lines. After you have watched the next few lessons in this series, you will understand why this is such an important step to take. We will start off with some simple examples and we will build up the difficulty. Don't dismiss the early exercises as being too easy, if you can play them 100% accurately at tempo without making any mistakes, then move onto the next exercise, but do not skip any of them out because you think they are too simple.